Grammy's Attic: Coolest Dad Ever! Super cute Father's Day card. I love this awesome cat with the snazzy sunglasses! Great take on the challenge, thanks so much for playing along with us this week over at The Mod Squad!! Another fabulous and fun card, love the image and the dies you used. That cat is just soo cool and the reflection on the sunglasses is fantastic..!! Thank you for joining us at fab'n Funky. Adorable card! Such a sweet image! Too cute!! 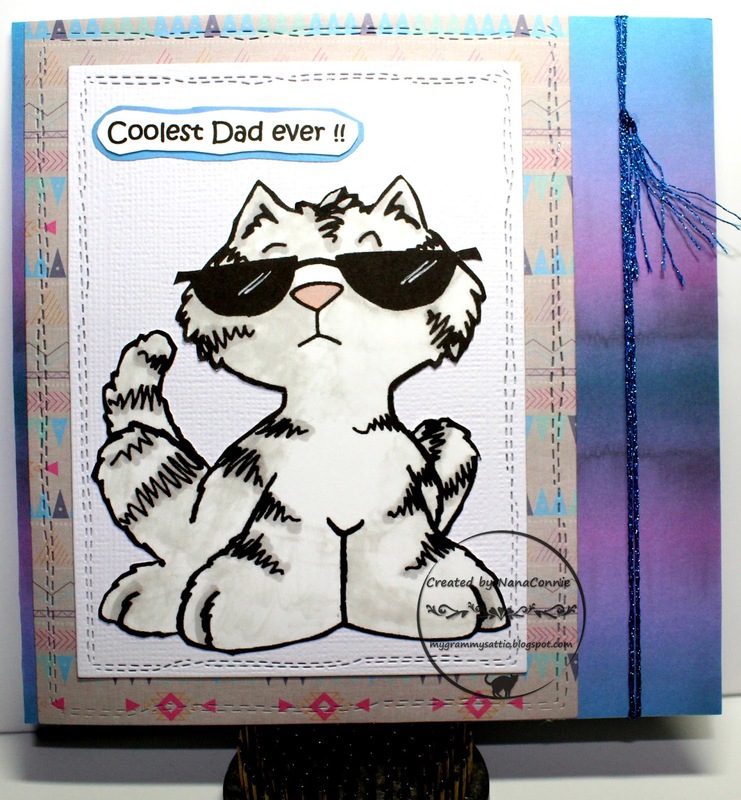 Yes, that is one cool cat and guaranteed your grandson will love it, as do I! 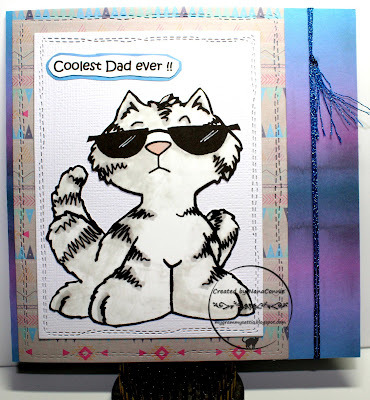 So glad you shared your creativity in the Addicted to Stamps and More gallery! I can see where you got your inspiration, Connie. I mean besides the one at Addicted to Stamps and More. I love the 'cat'itude and the cool factor of the image and I'm glad you shared him with us. Thank you for joining our Final Challenge over at Great Impressions.